In the area of NGC1929 in the LMC is found the complex nebula seen above. Known as the N44 superbubble complex, this turbulent emission nebula is dominated by a vast bubble about 325 by 250 light-years across. The bubble's interior is formed either by massive winds produced by a cluster of a few to many OB stars combined with the remnant shell of old supernovae. If you look closely along the right of the nebula you can discern the presence of a second bubble. As superbubbles expand and age their surface brightness diminishes. 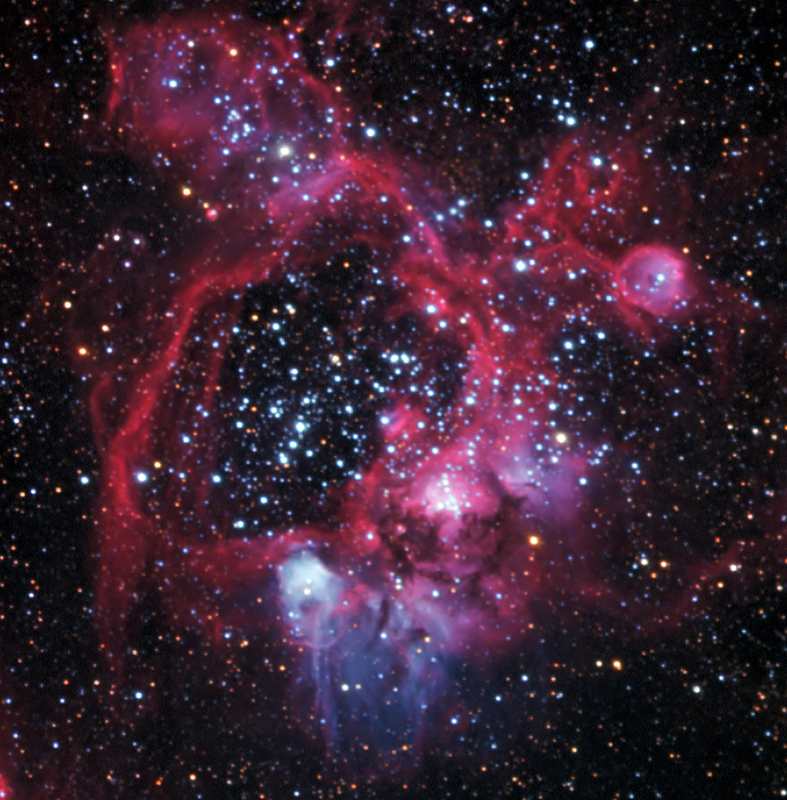 Finally it is thought that superbubbles can trigger new star formation in areas of the shells where gases condense. This object was frst published as a Legacy Image from Gemini South. Jack found an interesting paper Superbubbles in the Magellanic Clouds by M. S. Oey from the Institute of Astronomy in Cambridge, U.K.